After nearly a six-year hiatus, I was excited to see a project that began with notes and sketches transform into a published comic strip. Even if it was a one-off. Even if I had to hand the responsibility of drawing each panel to someone else. It was done. I had imagined that the creative non-fiction comic story I crafted would earn some interest. Maybe it would open a few doors to an audience. And allow me to write and illustrate. Even earn some money. Maybe I would quit my day job and provide for my household by doing something I loved. Telling stories. And drawing pictures. A few weeks ago I found a box in the garage. 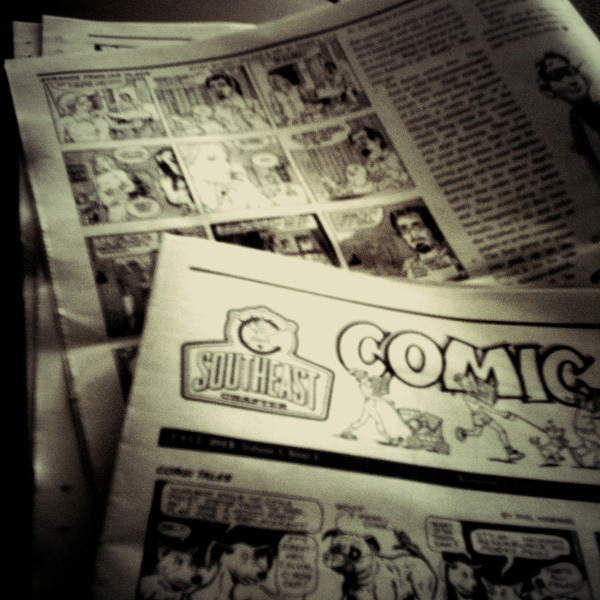 It had several copies of a publication that printed my comic strip. I glanced over the pages and then placed them back into the box. I also found several books. Opened one book I remembered enjoying. “What’s that?” asked one of the children. I pulled a copy from the box and gave it to the child. The child took the copy of Comic Stroll and headed off to the couch in the living room. I flipped through the pages of the book I had found. Read a few highlights. Yeah, I resemble that, I thought to myself after reading a few lines at the end of the book. The author referenced a friend of his who gave up an art gig for a corporate job in order to provide for his family. Yeah. I know what that is like. How many comic pages might I have written and illustrated if I had. . . Well, what-ifs and might-have-beens are dangerous paths to pursue. What you did, great or small, is what matters. Watching my progeny spend an afternoon reading comic strips I had a hand in creating was a pleasure. To post or not to post. To repeat old habits, or to start new ones. That is how I concluded last week’s blog post. Further, I revealed that I wrote multiple drafts of the post. From a few different angles. And did not plan on posting them online. However, a little bird told me it might be worth reading. So, in the tradition of chapbooks, I pulled together the scraps and assembled a small e-book. The e-book runs 4000 words. Part one is a preface (basically, last week’s blog post). Part two contains five short chapters of blog extras. Consider it bonus material. Like 90s audio CD hidden tracks. Part three is a collection of twelve confessions. The e-book is available FREE for those who have Kindle unlimited. Otherwise it is a meager $0.99 to download a copy. Hope you enjoy it. If you like what you find, please leave a comment below or give it a starred review on Amazon. Much gratitude! Have you ever written something that developed a life — even an audience — unexpected? The final chapter of a literary biography I read recently featured an introductory note that caught my attention. The author stated that of all the essays he had written during his long career the final essay of the book received the most attention. And the most requests for permission to reprint it in various publications. Those were different days, I reflected. A time when permission was requested to reprint material an effort to share thoughtful writings. Rather than copy, paste, click and post. In a very small way, a similar observance was made regarding a piece I wrote more than a decade ago. This was back in the days before iPhones, Facebook, or Twitter. A time when SMS messaging — later texting — was a novelty that would be the most used mobile data service. But that was a couple years away. A reader of my blog requested a review of a poem. I was suspicious of the request. Thought it might be a college student seeking someone to write his or her literature paper. I accepted the challenge. At the time, I was writing book reviews, essays, interviews and such. Mostly for local publications. But a few journals and magazines on the West Coast published some of my work. 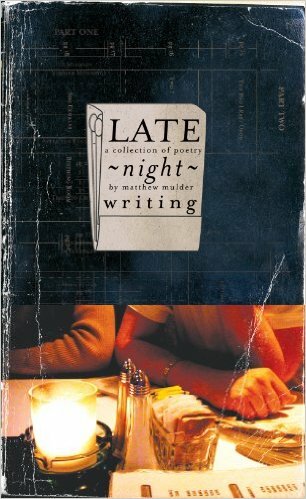 I reached out to Len Fulton of Small Press Review and asked if I could submit the poem review. He graciously agreed. I wrote a review of Charles Simic’s poem “Old Soldier” in an esoteric manner that could not easily be passed off as a high school literature paper. I sent off the review for publication. And waited. Months went by. Issue after issue of Small Press Review arrived in the mail box. Impatient, I posted an abridged, clumsy version of the review on my blog. A month later I submitted it to editor, publisher, and friend Pasckie Pascua who published it in the September 2005 edition of The Indie. When the November-December 2005 issue of Small Press Review arrived I was surprised to see my review had — in fact — been published. The review of Simic’s poem “Old Soldier” remains one of the most read posts on this blog. It is embarrassing to me for a couple reasons. One, the lack of virtue in my life. The selfish rush to be published. Patience is a virtue I am still learning to practice. Another reason for the embarrassment is that the online, perennial version of the review is a shadow of the original. The writing that appeared in the Small Press Review has never been released online. And maybe that is best for now. The review of the poem is the final chapter of a book manuscript I finished. As of this writing it remains unpublished. But maybe one day it will greet an audience of its own. And maybe wander online as well. There was a short story I wrote when I lived in my adopted hometown. I posted it last year. An edited version of it was published in an indie newspaper ten years ago this month. Hope you enjoy the story. Merry Christmas! Westville Pub was busier than I thought for a Christmas Eve. It looked like we were not the only ones escaping the chilly, damp Appalachian December night. My small family arrived a little after eight in the evening to enjoy an energetic performance by Gypsy Bandwagon. There was only one booth available near the back that we quickly populated. The bar maid took my order for a pint of ale, chips and salsa and ginger ale. Gypsy Bandwagon, self-described as genre-challenged, played lively Irish and Scottish jigs and reels, a bit of Bluegrass, classical piano solos and traditional gypsy pieces. Lead guitarist and vocalist shared singing chores with his wife, an accomplished violinist and keyboardist. The drummer,Uncle Biscuit, complemented his wife, a multi-instrumentalist, who played everything from the violin to the bass guitar. The band put on a free concert for the holiday crowd and brought gifts to give away to people in the Pub. With festive flare they gave away wrapped gifts if you owned a dog or claimed to be a Chicago Cubs fan or if you liked the last number they performed you got a free Gypsy Bandwagon CD. Many traditional Christmas favorites filled their set list that pleased the crowd. A 16th century carol haunted me. I don’t even remember the name of it, but I imagined a New England tavern must have sounded much like that over two hundred years ago. I wondered about the first Christmas celebration. Rome. December 25, 336 was the first recorded celebration of Christmas. Was there egg nog? Probably not. St. Francis of Assisi assembled one of the first Nativity scenes in Greccio, Italy on December 25, 1223. Nearly a thousand years between those two dates—and a lot of history. Leap forward nearly 600 hundred years, the well-known Christmas carol “Silent Night” was performed for the first time at the Church of Saint Nikolaus in Oberndorff, Austria on Christmas day in 1818. What will Christmas celebrations will be like in 100 years? Thinking back to how I was raised by my parents, I suspect the notion of attending a gig in a pub with kids on Christmas Eve must seem odd—if not a bit disturbing. My oldest loved the whole experience. I am not sure if it was the ginger ale or the nachos or the bouncing on the booth seat to the music or the fact that he was up past his bed time. He seemed glad to be there. His baby brother fell asleep. Uncle Biscuit came back and said hello during a quick intermission. He and his wife are good friends. It was getting late. After wishing him and his wife a Merry Christmas, we left. It had begun to rain outside as the family gathered into the car. We drove home with the windshield lightly swishing away the rain droplets. When we arrived home my son said, “Our home is waiting for us.” I like that expression—home is waiting for us. The smell of fresh-cut poplar was sweet in the damp night air as we entered our waiting home. Christmas morning. My family attended church. Coena Domini, or Eucharist, was celebrated. In low church fellowships it is called “the Lord’s Supper” or “communion.” Supper seems so common for a sacred “feast” on Sunday morning. Well, it was twelve ordinary guys that witnessed the death and resurrection of Jesus the Christ. As the elements of Eucharist were distributed, I thought of Jesus — the babe born in Bethlehem. He reportedly fulfilled more than 300 prophesies. During the morning homily I read of ten of those prophesies. I found the fulfilled prophesies amazing. Ann Rice admitted to discovering similar facts while she researched her book, Christ the Lord: Out of Egypt. What I did not find fascinating was the small plastic cup filled with grape juice and a crumb of broken Saltines. Is this not a Blessed Sacrament—as some Christians call it. I had a challenge finding anything sacred about a swallow of grape juice and a scrap of cracker. But these are simple reminders of a greater narrative. For some reason I thought of the pale ale and nachos I had consumed the previous night at Westville Pub. Why is it that ale and nachos are not sacred reminders of the holy truth? Maybe that is a bit sacrilegious to be considered on Christmas—a holiday. Holiday means “a religious feast day.” A day like any other day recognized as sacred, hallowed, sanctified seems out-of-place in American culture. As I held a swallow of grape juice and a scrap of cracker in my hands that Christmas morning, I remembered the night the Christ was betrayed. He shared his last meal of wine and bread with twelve ordinary, mostly nondescript guys who were being prepared to turn the world upside down. I identified with Jesus the Christ by taking the Eucharist. Am I more holy now than I was before? Does a day change its nature simply because it is recognized as sacred? I will leave those questions to the philosophers and theologians. “Our home is waiting for us,” my eldest child said on Christmas Eve. In more ways than the child realizes, that statement just might explain the reality of Christmas. From the living room window, I see the full moon rising through the twinkling reflection of Christmas lights. At a glance, the moon might be mistaken for a street lamp. The play of lights off the window and through it remind me of something I read earlier this week: “Keep the ripple going.” There is a short story I wrote that I have been sitting on for nearly a decade. An edited version of it was published in an indie newspaper. Since it is Christmas and a full moon, it seems time to release the unedited/extended version of the text tonight before the clouds roll in and hide the moon. Hope you enjoy the short story. Merry Christmas! Rome December 25, 336 was the first recorded celebration of Christmas. Was there egg nog? Probably not. St. Francis of Assisi assembled one of the first Nativity scenes in Greccio, Italy on December 25, 1223. The well-known Christmas carol “Silent Night” was performed for the first time at the Church of Saint Nikolaus in Oberndorff, Austria on Christmas day in 1818. What will Christmas celebrations will be like in ten years? Or 100 years? Thinking back to how I was reared up by my parents, I suspect the notion of attending a gig in a pub with kids on Christmas Eve must seem odd—if not a bit disturbing. My oldest loved the whole experience. I am not sure if it was the ginger ale or the nachos or the bouncing on the booth seat to the music or the fact that he was up past his bed time. He seemed glad to be there. His baby brother fell asleep. Uncle Biscuit came back and said hello during a quick intermission. He and his wife are good friends and he is a local cartoonist and illustrator. It was getting late. After wishing him and his wife a Merry Christmas, we left. Christmas morning. My family attended church. Coena Domini, or Eucharist, was celebrated. In a non-denominational church they simply call it “Lord’s Supper.” Supper seems so common for a sacred “feast” on Sunday morning. Well, it was twelve ordinary guys that witnessed the death and resurrection of Jesus the Christ. As the elements of Eucharist were distributed, I thought of Jesus — the babe born in Bethlehem. He reportedly fulfilled more than 300 prophesies. During the morning service I read of ten of those prophesies. I am not a theologian, but I found the fulfilled prophesies amazing. I am not a mathematician either, but the probability factor is equally fascinating. Ann Rice admitted to discovering similar facts while she researched her book, Christ the Lord: Out of Egypt. What I did not find fascinating was the small plastic cup filled with grape juice and a crumb of broken Saltines. Is this not a Blessed Sacrament—as some Christians call it. I had a challenge finding anything sacred about a swallow of grape juice and a scrap of cracker. But these are simple reminders of a greater narrative. Nothing wrong with common things. I wonder if American Christians embrace an ascetic view of communion because they live an epicurean lifestyle. Should followers of Christ not seek the highest pleasure—desiring God? Let us feast Deo favente (with God’s favor). By practice, the fellowship I attend also observes the Passover Supper each year as part of Passion Week. The elements of the Seder Dinner (Maror: bitter herbs-horseradish, Karpas: vegetable-parsley, Chazeret: bitter vegetable-lettuce, Charoset: apple, nut, spice and wine mixture, Zeroa: shankbone-kosher lamb and Beitzah: egg) are symbolic and common. Likewise, bread and wine are common food items. Still a supper is a supper, not an appetizer. For some reason I thought of the pale ale and nachos I had consumed the previous night at Westville Pub. Why is it that ale and nachos are not sacred reminders of the holy truth? Maybe that is a bit sacrilegious to be considered on Christmas—a holiday. “Holiday,” from an Old English word “hligdæg,” means “a religious feast day.” Why a holy day? The Middle English word “holi” has Old High German origins from the word “heilag” meaning “sacred” which has Gothic roots meaning “hallow, sanctified” which further has Latin sources in the word “sanctus.” A day like any other day recognized as sacred, hallowed, sanctified seems out-of-place in American culture. Left of the Lake published “Mortal Coil” in the August issue. It is a short story I wrote. A really short story. And now it is almost September. A prepublication notice was posted. Then I forgot to mention where you can get a copy of the magazine to read the story. The publisher mailed a copy. I shared it with friends in writers group. I failed to consider that friends and fans — who I do not get see me face-to-face every week — may like to read “Mortal Coil.” I will do my best to remedy that. In the mean time, I continue to collect rejection letters from other publishers regarding other submitted work. Cheers! Received notification earlier this month that a piece I wrote earned second place in a writing contest. It will be published in the August 2015 issue. The contest judge is a faculty member at Columbia College Chicago. So, the acceptance of the prose piece submitted seems to have some merit. Or at least that is what I try to convince myself, because all month I have received notification of other submissions that have all been rejected. Much gratitude goes to the members of the writers group that meets at the Graham Public Library who saw the first handwritten draft of the story. Their support has been amazing. And special thanks to novelist Justin Grimbol, for encouraging me in the craft of fiction.